The sum of the taps of Mansum do a good job. This review is about item#4583363. 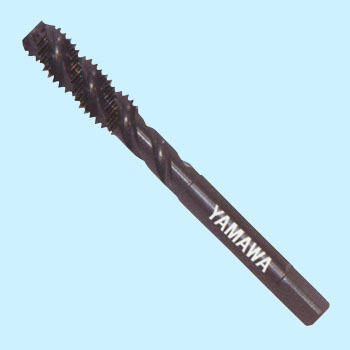 It has been subjected to careful heat treatment, it is hard to break and has excellent abrasion resistance, so I have been using only the tap of Yayamichi since long ago. This review is about item#10441146. There was only a major manufacturer and I was able to work reliably. Up to now, I've done tap opening with handwheel, but after opening a pilot hole with a drill, I will enter with a power tool, very efficient. This review is about item#10415693. This review is about item#04582593. When placing a 2 mm screw on aluminum, it was broken if it was a normal tap, but this is a good drain of chips and there is no worry about it. This review is about item#34656851. Also sticky material such as stainless steel and aluminum can be sticky threads clean. I replaced all the point taps I owned with a spiral. This review is about item#04583363. I could cut the screw without problems. This review is about item#04582462. It broke with use of about 5 mm to 4, 5. Washes Yamaha ♪ It is different from foreign country. Somehow buying cheap items! Do not make the cutler domestic products! It is! Mega yeah yeah the strongest tap. Truly YAMAWA! I mainly use it with sus304, but I can not tap through 1000 times. It was truly broken in 1001th time. It is durable and its sharpness is stable. I think I will purchase again as sharpness becomes worse. This review is about item#04583257.